In order to give exhibitors the proper time needed to set up, wholesalers, repairers, and retailers will not be permitted in the exposition hall during set-up. The SSIA thanks you in advance for your cooperation. How to organize your time and work flow to maximize profits. 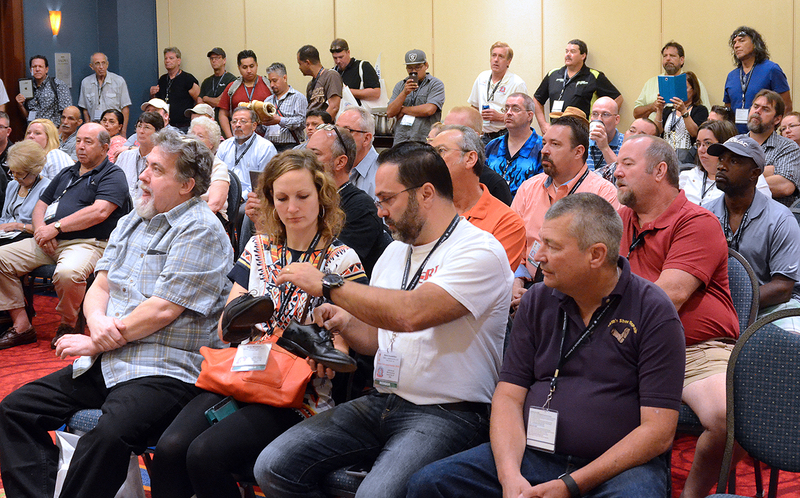 Tips on excellence in shoe repair from a Grand Silver Cup winner and a Silver Cup Judge. How to best use and sell Tarrago’s premium shoe care products. What you can do at the counter to maximize ticket value. SSIA members only. If you are not an SSIA member, click here to join. Tips on craftsmanship from a Grand Silver Cup winner and one of the industry’s top craftsmen. How to make sure you have the proper adhesive for each material to make bonds that last. In order to give manufacturers/suppliers the proper time needed to spend with your wholesalers, repairers will not be permitted in the exposition hall until 1 PM. 1 p.m. – Exposition Hall Opens to All. SSIA members are invited to join us for food, drinks and networking courtesy of the sponsors listed on the right. 10am – Exposition hall opens to all. The SSIA reserves the right to change or cancel any seminar, presenter, or re schedule any other events without notice at the discretion of the SSIA board of directors.